I’m reposting this blog entry from a few years ago. Lots of time to make a poppy! 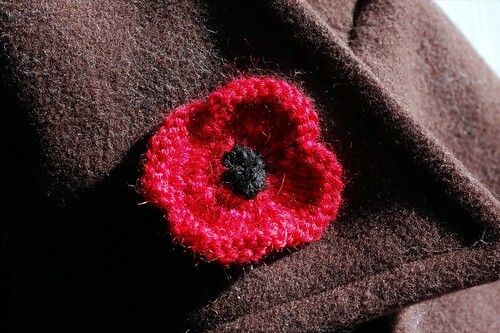 Right after Halloween in Canada, poppy pins blossom on lapels across Canada. We have Remembrance Day on November 11th to commemorate the sacrifices of war. The poppy is a symbol of remembrance, and was popularized after the First World War due to a poem by Lieutenant-Colonel John McCrae. Few poppies grew in Flanders, France, before the war broke out; rubble from bombardments enriched the soil with lime, and then the fields exploded with the blood-red flowers. Once the war was over, the lime became reabsorbed and the poppies disappeared. 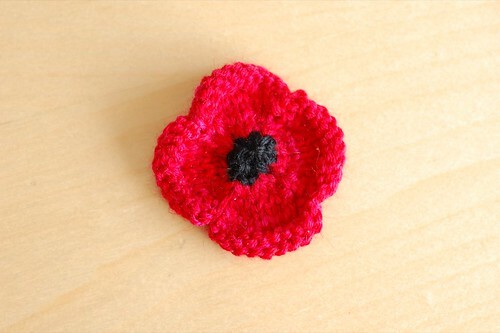 So to help you remember, here’s a little free pattern for a poppy. It knits up very quickly in scrap yarn – I used aran weight black scrap yarn, and triple-stranded Schaefer Anne for the red. You want to use a small needle so that it’s stiff. Finished size is approximately 2 inches across. Poppies are not bought or sold; people make a contribution for their poppy. 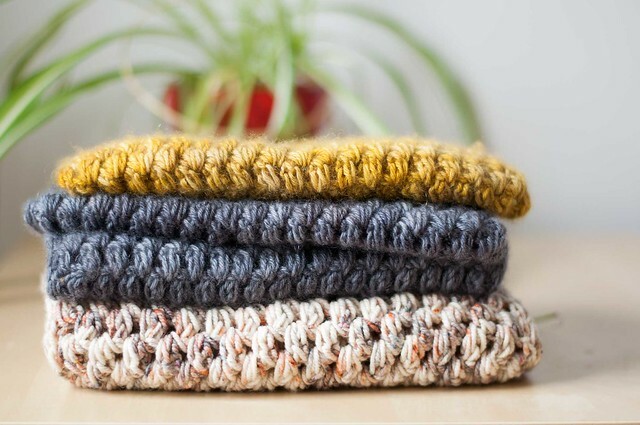 Any donations from this pattern will be given to the Royal Canadian Legion Poppy Fund, which is used to provide immediate assistance to ex-servicemen and women in need. This may include food, shelter or medical attention for them or their families. Also, education bursaries are granted to children and grandchildren of ex-service personnel. More information about the Royal Canadian Legion Poppy Campaign. Please make a donation to your local Royal Canadian Legion or other legion group. Thank you so much, Laura. I love that poem–makes me remember all we have lost and those who gave their lives to ensure our freedom. They are just lovely–the poppy and the poem.